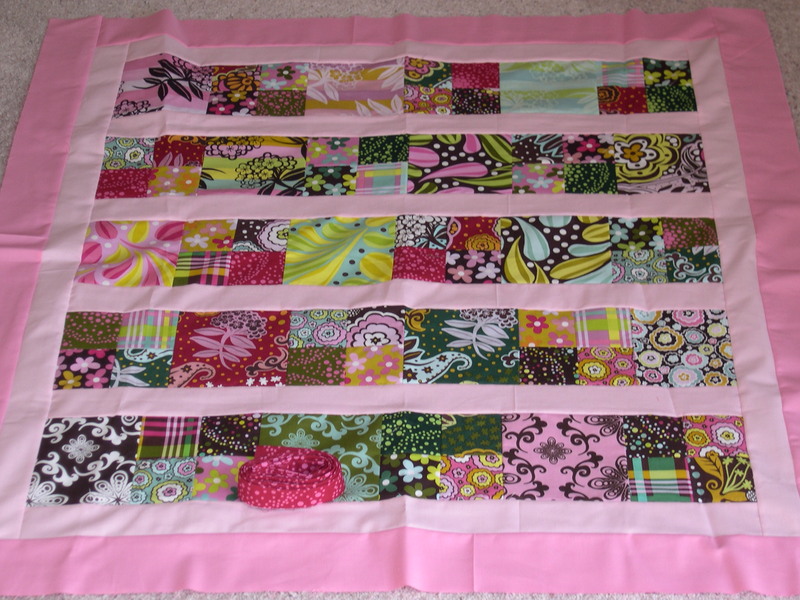 Remember the patchwork I was working on last week? I finished the piecing and border of my new quilt top with the chocolate lollipop fabrics for the patchwork and quilting solids for the borders! I think it looks like a bowl of candy so I’m calling it my candy quilt. I couldn’t finish it this weekend because I didn’t have a piece of batting big enough and because I had homework for my design class. 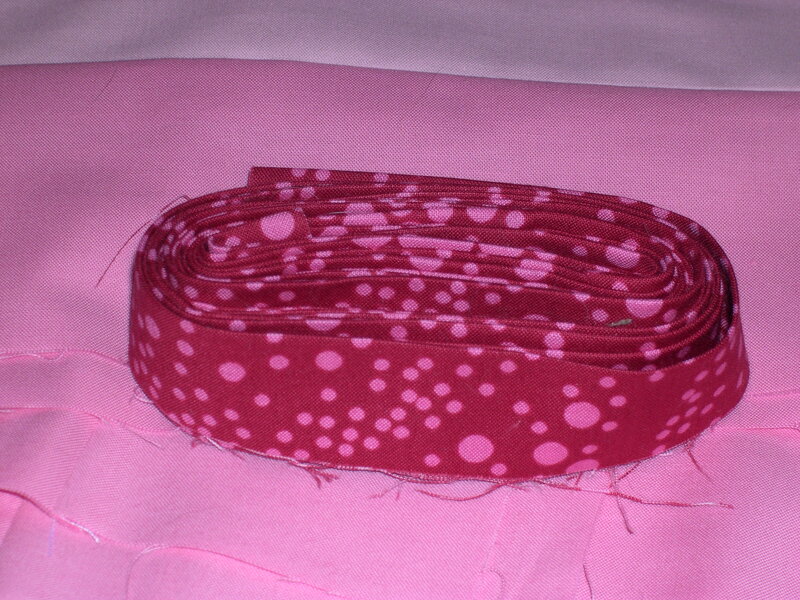 I have the binding ready to attach but it will have to wait until next weekend. I would like to stipple this quilt, but I still haven’t figured out how to attach the free motion quilting foot onto my machine. I could also do some kind of grid and use the walking foot, which would be safer since I haven’t tried stippling yet. It makes me happy just looking at this piece of patchwork in it’s unfinished stage, so I can’t wait to use it! 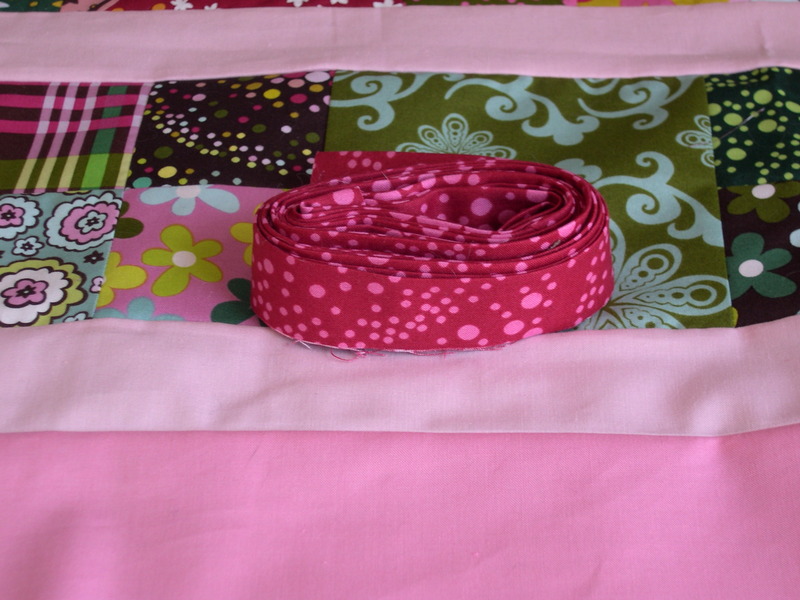 Great quilt…the binding is perfect for it as well! And you’ve named it perfectly! this is so rich and beautiful I love what you’ve done!! Awesome quilt! Can’t wait to see it finished, and I think this would be a great size to try out stippling. This is soo pretty…loving the colors! Can’t wait to see it finished. Have a lovely merry happy day! Love to you! It looks so pretty. The name is perfect. LOVE your quilt! And your name is perfect. Can’t wait to see it all quilted and snuggly! 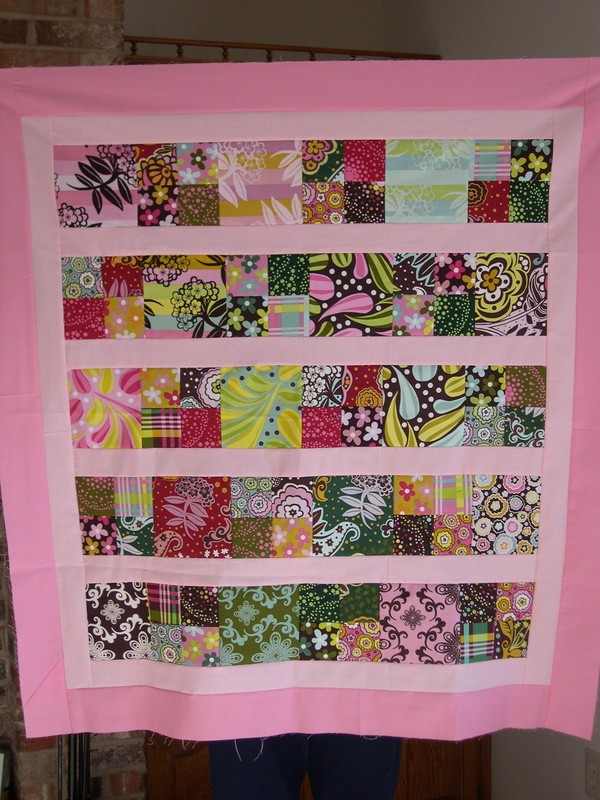 Love the quilt, and the bright colors make you think of spring! I can’t wait to see it finished! wow the quilt looks great. I love the colors in it. Yummy! Can’t wait to see it! Oh my goodenss….itt does look like candy! Beautiful.